I thought I’d share the cute little Valentines we made for Nicole’s preschool class, and the printable we created for them. Kind of last minute, but if you want to use them you still have time! I thought I had cardstock but I was wrong, so we wound up just printing these on regular printer paper. 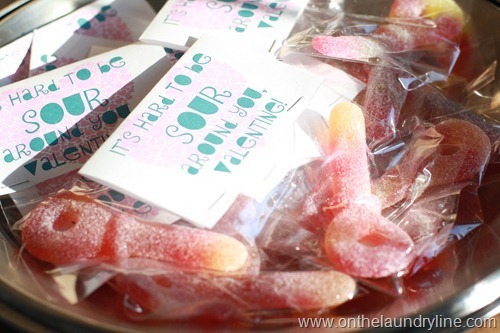 The front is a pale pink heart (made of many hearts) with the words It’s hard to be SOUR around you, Valentine! 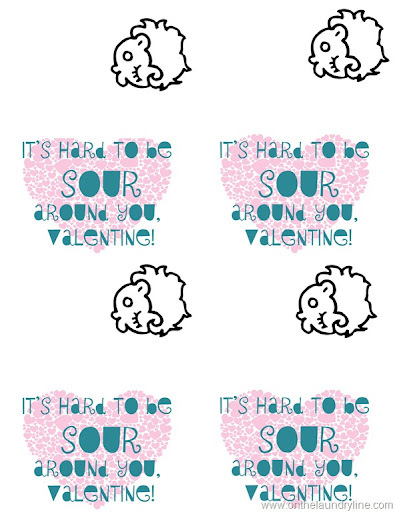 and the back features a funny little kissy face and plenty of space to write who the Valentine is for and who it’s from, and we also added a foamy sticker to each one. The heart and kissy face were both graphics that come loaded in Adobe Elements 10. 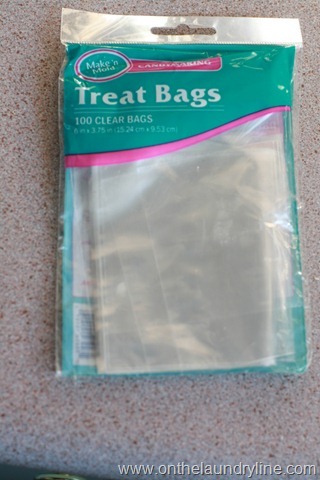 We took Jumbo-sized sour soother candies that we picked up at Costco and put one (but could have easily fit two) in a 6 x 3.75 treat bag. If you’re worried about the elements, the top of the bag can be sealed off with a curling iron, but we’re giving them out today so we just cut out the four Valentine’s from each page, folded in the center, and then after filling in the back, stapled them onto the bags. Humph…! Really! Just “so-o-rt of, hey?? Well!